If you are applying for an undergraduate course at a UK university or college, then you will probably apply through the UCAS system. UCAS is the official body which administrates undergraduate admissions in the UK. Although it is generally quite an easy process applying through UCAS, it can be confusing at first. To help you out, we have outlined the information you will need to complete every stage of the process successfully. 1. Build a curriculum: University admissions are getting increasingly competitive. The few years prior to your university entrance are a good time to build a strong academic and extracurricular curriculum that will distinguish you as an applicant. Enrolling in rigorous classes and accumulating leadership experience through student or community organizations can effectively boost your chances of being admitted into the programmes of your choice. 2. Discover your passions: Before you apply to university, it is important to get a sense for what motivates you. Is it a specific academic discipline? A career path? Or maybe an extracurricular activity? Your interests and passions, coupled with more practical matters like financial aid and location, should guide you when choosing the institutions to which you will apply. 3. Familiarize yourself with UCAS: The UCAS website provides application guidance and a unified system through which you can apply to the courses of your choice. UCAS makes applying to multiple institutions easy, as it allows you to send a single application to all your choices. 4. Build relationships with teachers: Most courses will require reference letters from teachers, and the better your teachers know you, the more effective their letters will be. Pick teachers that know you well inside and outside of the classroom and can give specific examples of your talents and skills. 5. 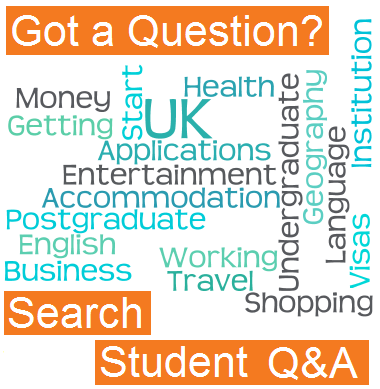 Choose a list of courses: In the UK, you apply directly to specific courses within institutions. UCAS allows you to search courses by type, subject and institution. Research each course before you make a final decision based on your passions, talents, and professional aspirations. The course’s entry requirements are also important. Usually students apply to four or five courses which are very likely to accept them, and to one or two “reach” schools with more rigorous admissions criteria. Although UCAS will only allow you space for five choices, you can apply to other schools directly if you wish. 1. Request reference letters: Be considerate and allow your teachers plenty of time to write effective letters on your behalf. Remember that your peers might also request reference letters, so your teachers will be busier than usual. 2. Write a draft of your personal statement: You will be required to write an essay in which you explain and defend your interest in the course. Writing an effective personal statement takes time, and you might have to write two or three drafts before you are happy with the result. It is also advisable to have your friends, relatives and teachers read your drafts and offer comments. 3. Take a campus tour: If you can, it is a good idea to visit the universities or colleges in which you are interested before you submit your application. Campus visits are the best opportunity to decide whether a particular institution would be a good fit for you. You can usually sit in a class and have a chat with students and professors. 4. Take required exams: Some courses might require you to take specific exams related to your subject of study. If you are not a native English-speaker, you might also be required to take a language proficiency exam such as IELTS. Check exam dates in your home country to make sure you take it as early as your specific courses require. Some courses might offer you a conditional acceptance letter, pending exam results. 5. Check application deadlines: You can submit your UCAS applications by three different deadlines: 15 October, 15 January and 24 March. Different courses have different deadlines, so be sure to check specific course application requirements beforehand. International applicants usually have until June to have their applications evaluated, but some universities such as Oxford and Cambridge still require students from abroad to submit their applications by 15 October. 6. Apply: UCAS’ online application system allows you to submit applications to specific courses. You will be asked to complete questionnaires on sections such as “Personal Details,” “Education,” and “Employment,” and to upload a personal statement. If reference letters are required by the specific courses you selected, notice that the application will not be processed until reference letters are received directly from the referees. You will provide your referees’ contact details and UCAS will send them a request for letters. Finally, you will have to pay online the fees associated with higher education applications. 7. Submit application supplements: Some universities such as Cambridge will require you to submit an additional application form, such as the Cambridge Overseas Application Form for overseas students.. Check universities’ websites for this type of specific requirements. 1. Track the progress of your application: UCAS allows you to check institutions’ receipt of your application. You can log in with your Personal ID and the page will show when courses have made an admissions decision. You can also make changes to your application through the website’s ‘Track’ tool. 2. Prepare for interviews: Some institutions will have a representative meet you as part of the application process. If this is the case, UCAS will notify you and you will have an opportunity to prepare. Expect questions about your education history and personal statement. You should make sure that you practice your answers and become familiar with current events and topics in your subject of study. 3. Await exam results: If a course requires you to take specific exams, some results will not be available until after you have submitted applications. Some exam scores will be sent directly to the institutions you designate, but others might require you to send the scores report to the institutions. 4. Send any required materials: Some courses will ask for a final grade transcript and a copy of your last completion of studies certificate before they can make an unconditional offer. 5. Reply to your offers: Congratulations! Now that you have received offers from courses, their reply dates will be displayed in UCAS. You can use the website’s Track tool to reply directly to the institutions. Your reply can take the form of “Firm Acceptance” (to select only your first choice), “Insurance Acceptance” (to select a back-up course if your first-choice’s offer is conditional) and “Decline” (for the offers other than your first-choice and back-up). 6. In case of no offers: If you applied to all five courses allowed by UCAS and either received no offers or declined all offers received, you can apply to another course through the Extra tool in UCAS. Extra allows you to apply for one course at a time from late February through early July. You can apply to vacancies through Extra until courses close their application cycle. 7. Request financial support: If you and your family cannot pay the course tuition fees and other costs associated with living in the UK, you can request loans from your government or the institution. Some universities also offer financial grants, which do not have to be paid. There are scholarships available through universities and private organizations as well.